The Klassik Stiftung Weimar is legally represented by its President, Mr. Hellmut Seemann. All texts, images, graphics, sound, video and animation files and the configuration of these on the Klassik Stiftung Weimar website are subject to copyright and other laws protecting intellectual property. It may not be copied for commercial purposes or for circulation; neither may it be changed or used on other websites. The only exception to this is the text and image material expressly offered for further circulation under the rubric »Press«. Please note that some pages on the Klassik Stiftung Weimar website also contain images for which the copyright is held by the provider. The image material is protected by copyright. These rights are held by Klassik Stiftung Weimar. All information on this website is checked carefully. We make every effort to extend and update this information on a regular basis. However, we can accept no liability for the correctness, completeness and current status of this information. The Klassik Stiftung Weimar does not grant any warranty or guarantee on this information, whether express or tacit. The Klassik Stiftung Weimar accepts no liability for damage occurring in direct or indirect connection with the use of this website, insofar as the damage was not caused wilfully or by gross neglect on the part of the Klassik Stiftung Weimar. In the case of direct or indirect references to external websites (»links«) outside the Klassik Stiftung Weimar’s scope of responsibility, the Klassik Stiftung Weimar shall only be deemed liable if the Klassik Stiftung Weimar is cognizant of the content of the linked website and is technically able to prevent the use thereof if the content violates the law. The Klassik Stiftung Weimar herewith expressly declares that no illegal content was recognised on the linked websites at the time the link was inserted. The Klassik Stiftung Weimar has absolutely no influence on the current and future design, content or copyright of the linked websites. Therefore it herewith expressly distances itself from any content on any of the linked websites which changes after the link was inserted. This disclaimer applies to all links inserted on the bauhaus museum weimar website and to external entries in the guest books, discussion forums and mailing lists set up by the Klassik Stiftung Weimar. The operator of the linked website is solely responsible for any illegal, erroneous or incomplete content and in particular for any damage arising from the use or non-use of such information; no liability is held by parties who merely refer to the respective publication by means of a link. The Klassik Stiftung Weimar would like to place an innovative, informative website at your disposal. The intellectual property such as patents, brands and copyrights contained therein is protected. This website does not grant any license to use the intellectual property of the Klassik Stiftung Weimar or any third party. 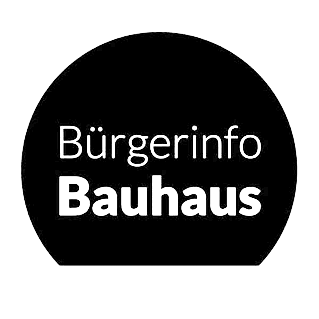 All information or data, the use of the bauhaus museum weimar website and all acts, conduct, acquiescence and omissions associated therewith are solely subject to German law. The place of fulfilment and sole place of jurisdiction is Weimar. Corruption erodes trust in the integrity and functionality of public administration. As a public law foundation, the Klassik Stiftung Weimar always strives to act in an ethical, responsible and transparent manner. For this reason, we are taking decisive steps to counter corruption by means of monitoring, exposure and punitive measures.